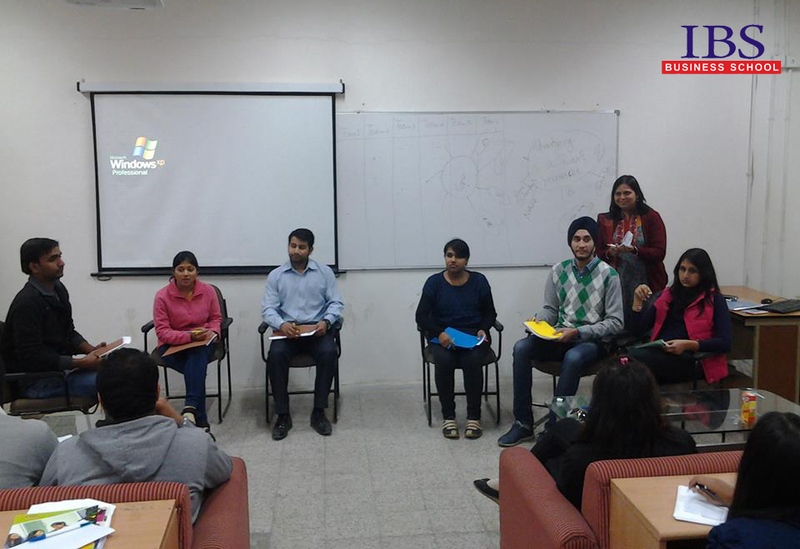 Group Discussion and Personal Interview is one of the litmus test to get through a premier B-school. I still remember how I had to dress myself for success. I still remember how introvert I had been and how difficult it gets to crack a GD-PI. I knew after clearing entrance exam, GD-PI is like a do-or-die situation for me: it is either you are in or you are completely out for another whole year. I knew if GD-PI is not cracked this time then the whole 1 year of hard work is going to go complete futile. So you can see the amount of pressure mounting on me at each ticking of time. Well, the first thing I did was to get rid of this pressure which I was building on to myself. I first made myself understand that it was a “DO” situation and there is no question of “DIE” situation. Now, how exactly did I “dress myself for success”? Reading Magazines, Newspapers and Books: Yes, the first and foremost thing I started doing was keeping my self abreast with current affairs. This was done by reading newspapers like Economic Times, Business Standard and any other journal I could thing would be relevant, I would grab it. Then I would get few business magazines from friends and buy it from stores. Having completed reading magazines I would ensure I spent time enhancing and brushing-up my general knowledge. For me this was very important as I could relate many crucial events with my GD Topics. This would help me in putting across relevant points on the table. In short, keeping updated of current affairs gave me a shot of adrenaline – an air of confidence! This was mainly as I could see my points at the discussion were not only relevant but also short, precise and multiple unique points. Reading books mainly some of the best sellers was another boost to my confidence. Books like Alchemist, The monk who sold his Ferrari, Rich Dad Poor Dad etc has shaped my continuity in talk, coherence in thought, and concentration in listening. It made me believe that there is another point of view, there is another outlook and approach to the topic. This helped me think out of the box, this taught me that imagination has no limit and I would come with new points. Reading such books is a boost for topics which are complete abstract: “Roses are red, violets are blue”, “Come to a full circle” or “Orange”. Yes these were some of the exact topics I had got during several of my GD discussions for various B-schools. A group of 10 individuals in which 8 were boys and 2 were girls. The moderator had given a topic (The Chinese goods are disrupting the Indian markets) and then had asked to start. The very moment 3 candidates started and they kept on talking irrespective of whether the other one is listening. I knew if I speak it would not make any sense to anyone. I had expected the rowdy person will be eliminated. After a 1 minute of their talk, I suggested the girls too be given a chance to put across their viewpoint. This provided enough to stop them and after the girl spoke I pitched my point which I had thought during the time when other 3 contestants were talking. I spoke 3 valid points and passed in to the person who did not get the chance to speak. Then as the discussion time was about to end, I pulled myself up again and summarised the discussion with points suggested by all the individuals. In this discussion I learned we need time to think and then structure the ideas. In fact I had created a flowchart and I ensured to use one analogy, one uncommon point apart from few relevant points. Further if someone has already started the discussion, avoid jumping on the running train. Secondly, we need to carefully listen to other speakers and bullet their points in a paper. Thirdly, we have to avoid interrupting when the other speaker has just begun speaking or has not completed his view or sentence. Fourthly, avoid being rowdy or disrespectful and instead you can offer chance to speak to your fellow contestants when the others are not letting you speak and then after a while you can extend the discussion. Last but not the least, you cannot dominate or speak throughout the discussion and should lead the group as a ‘team’. If you have already mapped the topic and you are confident about it then you can start the discussion. It is a myth that one who starts the discussion has a more probability of getting through the selection. In fact one who has put across valid points and had maintained a positive attitude and has shown team culture are more likely to be selected. If the discussion has become rowdy, you can turn the table round by not being rowdy and showing your effort through gestures that yes you have a point to put forward. You may try entering the discussion whenever there is an opportunity. Chances are more that the moderator may ask each one to put forward their point of view. How many times to speak? There is no thumb rule as to how many times you have to speak. What most moderators notice is how much proactive you have been, and how smartly have you put across your views. You should speak to the point, crisp and ensure some innovative points to be added. You should not speak for the sake of speaking. How to enter into the discussion? How to summarise the discussion? These points had been extremely helpful in several of my group discussions but one cannot deny that group discussions are unpredictable. Each discussion takes its own shape and has a different way forward. One has to be confident and has to be smart to deal with surprises as there are no prescribed formulas to “dress for success”. How can introverts face a GD/PI with ease? The expression of introversion varies from one person to another in intensity as well as type. Some basic traits of an introvert person are –hesitation to speak in front of people especially strangers, hesitation in making eye contact when listening to someone, using a soft (and sometimes inaudible) tone while talking, taking too long to search for the right words and feeling uncomfortable in group situations. Introverts often think a lot before actually saying anything and thus they are unable to speak at the right moment. If you are an introvert, you might have faced a number of such problems not only in your social life but in your professional life as well. The business world is really competitive and things may become harder for you in case you are an introvert. Introverts often tend to avoid situations where they are required to speak up in front of a group or where they feel the focus is on them. Thus, group discussion as well as personal interview is beyond the comfort zone for an introvert. Now before you go for a group discussion and personal interview, you need to know that most candidates out there are nervous too. You are definitely not the only one. The selection procedure can be really nerve-wrecking even for the best candidates. Here are some tips that will help you face the group discussion and personal interview with ease. Being confident and self-assured may not seem to be easy. However, the first step towards preparing yourself to face your upcoming GD/PI is to believe in yourself and your abilities. Now, being an introvert does not mean that you are any less capable than other candidates. Surely, communication skills are a plus but you do not have to be disheartened if you are not good at it. All you have to do is work a little harder. If you plan and prepare well, you have a good chance of making it through the selection procedure of the college you have applied to. Start your preparation well in advance. List down all the topics you think you may possibly be given for the group discussion and then research about them. During a group discussion, each candidate gets only a limited time to speak. Hence, it is not about how much you speak, it is about the how logical and sensible your points are. The more you know, the more confident you will feel! 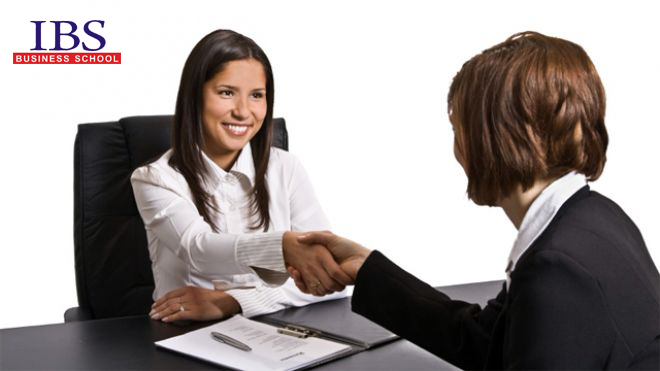 Mock interviews may really help you build up your confidence before the big day. Practice speaking while standing in front of a mirror. Observe your body language and your tone. You may even ask for some help from your friends. Conduct mock group discussions and interviews with them. Ask them to point out your mistakes and weaknesses and try to overcome them. Practice will really help you to overcome your nervousness. Now that you know what you need to work on before your GD/PI, here are a few things you need to keep in mind on the big day. Presentation matters! Make sure you follow the dress code and dress up smartly on the final day. Don’t start hunting for your formal dress few hours before your GD/PI. All this should be done the previous night. Dressing up smartly will also help you feel more confident about yourself. Dressing up casually or shabbily for interviews shows lack of interest and seriousness. Remember, the interviewers will be judging you on various factors. It is important to look impressive when you go for the group discussion and personal interview. The more you think, the more nervous you will be. Also, thinking too much before presenting your views in the group discussion may affect your performance as you may not be able to speak up on time. Do not think of the personal interview as an interrogation. Think of it as a conversation. Be quick and subtle with your responses. Over-thinking may result in long unnecessary pauses and this may break the flow of the conversation during the interview. Performance anxiety can be reduced if you keep reminding yourself that you are just having a conversation. Calm yourself before you go for your group discussion and personal interview. Introverts are often considered to be good listeners and if you are one, you may use this skill for your benefit at the GD/PI. Carefully listen to the views and opinions presented by other candidates at the group discussion. This will help you in forming your own opinions. Also, this way you may avoid being repetitive and stating the points which have already been mentioned by someone else. Strong listening skills will help you process the information well and plan out your answers accordingly. Well thought answers will certainly give you an upper hand over other candidates. However, don’t get too caught up in just listening and not responding in time. Group discussions and personal interviews can be really nerve-wrecking if you are an introvert. Unfortunately, they cannot be avoided. 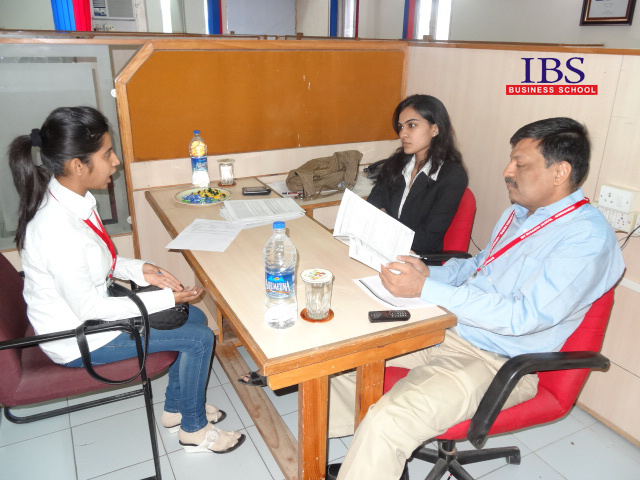 Whether you are applying for admission in a reputed business school or you are trying for a job at some company, you will have to face personal interview. GD/PI may seem to be a little less difficult for extroverts owing to their strong communication skills and their ease of interacting with others. However, this does not mean that you do not stand a chance. Planning, preparation, and practice make the perfect combination of what you need in order to give your best in the group discussion and personal interview. Focus on your strengths and work on your weaknesses. A little hard work is all you require to make it through your upcoming GD/PI. Many introverts have carved out a successful professional career for themselves. There is no reason why you can’t! In this write-up, I’ve literally time-traveled down the memory lane to make you aware and understand the nitty gritties of the selection process at the intimidatingly sprawling ICFAI Hyderabad campus at Banjara Hills. I got a call letter from ICFAI after cracking IBSAT (ICFAI’s independently conducted entrance exam for aspiring MBAs), which is held every year around mid-December. In the call-letter, I was given a range of dates to choose from for the D-Day. It also mentioned a list of around 15-20 assorted topics on which I was supposed to give a timed presentation. I decided on a date and my chosen topic was “Latest Technologies in Banking Industry”. I zeroed in on this topic as I had prior work experience in the Banking Sector and keen personal interest in Information Technology. Though I had prepared well for the presentation, I had no idea what was in store for me as this was the very first presentation and interview of my life. I didn’t even know that I was supposed to be scared or at least a bit nervous. My state of mind just before taking the train to Hyderabad was virtually unoccupied and relaxed. Perhaps, ignorance of what laid ahead was a good thing. Next day, I reached the selection venue 15 minutes before the scheduled time i.e. 7 AM. Tip No.1: Make it a point to reach the venue before time for all your future interviews. This will avoid unnecessary hassles and will keep you calm and composed. A few hundred well-dressed interviewees were already present. By the time I got myself registered, the enormous lush-green campus lawn was already overflowing with apparently agitated students. I felt like an ordinary rat competing in a yet another ruthless rat-race. Suddenly, I started feeling anxious and exhausted. I went for a quick bite at the canteen and had a sumptuous South-Indian breakfast coupled with hot coffee. The snack took the edge off my anxiety. Tip No.2: Stay hydrated on the day of your Interview/Exam and have a carbohydrates-rich meal before leaving. Its all the more heart-braking to have all the potential yet not able to get through the three-step selection process because of something as trivial as ‘low on energy’. Trust me, there are loads of people like that. I pulled myself together and waited outside the presentation chambers. After a restive wait, my name was finally called at around 12:30 PM. I entered the room. Mine was a group of 10. Each candidate had to deliver a perfectly timed presentation for precisely 10 minutes. Subsequently, a flurry of devious questions ensued. Besides one more participant, I tackled the questions well. My presentation was not perfect but it was compensated by my confident answers. Tip No 3: Besides confidence, your ‘Domain Knowledge’ plays an extremely crucial role to get through even the trickiest of interviews/post-presentation questions. So ,walk the extra mile and be prepared and well-read about your area of core competence. It’ll certainly take you places. Present yourself elegantly and don’t loose your calm even when you don’t know the answer. Be honest and upright and politely ask the audience to forgive your ignorance. Remember, no one knows everything (even James Bond & Sherlock Holmes are works of fiction). Honesty is a precious commodity and the examiner knows that. You can’t fool him. All the 10 candidates in my group gave their respective presentations. It took a little less than 3 hours for the entire activity to get over. I was starving so I had lunch at the canteen. Then, I went to to the building where the interviews were being held. My batch number implied that the estimated time of my interview was 4:30 PM. I spent the remaining time revising my self-introduction speech. Tip No.4: It is advisable to prepare a customized, ingenious and non-cliched self-intro speech to make the maximum impact and a cracking first impression. You may have been advised before that the 1st few minutes are imperative to your final selection. On the contrary, in my case it was the exact opposite. When I was asked to introduce myself, I was somewhat shaky at the beginning mainly because of lack of a formal recitation. It was only when an interviewer sensed my discomfort, he asked me about my job experience. The ball was in my court so I had to play ball to stay in the game. I still think I was lucky to be given a chance on a platter. A more elegant speech would most definitely have bettered my prospects. Tip No.5: Obviously, dependence on sheer luck is outright stupidity. During my MBA’s placements session, a soft-skills professor once told me that there is only one foolproof rule to crack an Interview/GD. He termed it ‘PPP’. It meant Practice, Practice and more Practice. Sounds silly at first but trust me it is the only surefire way. Every other short-cut is just an illusion. So gear up and get going. Its high time! Tip No.6: Another simple yet brilliant concept that will help you sail through the interview is another silly-sounding principle called the ‘House-Cow’ Rule. A school boy was once asked to deliver an extempore on the topic: ‘House’. The boy, knowing nothing about the house started with the sentence: ‘My House has a Cow’ and then went on and talked only about the Cow during the entire presentation. Its a witty analogy whose implied meaning is to cleverly draw the interviewer’s attention to the subject of your choice where your strength lies. Mastering this cunning art of manipulation can be achieved with rigorous practice. Remember the ‘PPP’ rule? Coming back to my personal interview, it was undoubtedly the longest and the most gruelling interview of my life. They grilled me for 20-25 minutes. When I came out totally burned out, I knew I was in a soup. I called my Dad right away and told him the same. He, however being a veteran banker and an old-hand interviewer himself begged to differ. He explained that even in my inhibition, perhaps they saw some potential. That’s why they gave me more time to prove my mettle and to see whether I crack under pressure or not. He told me that the interviewers probably ‘liked’ me. His assurance was music to my ears. Later, at around 7:00 PM, I stood in an endless queue where envelopes sealed with fates of aspiring MBAs were being distributed. I opened mine to find ‘Gurgaon’ campus written inside it in bold letters. I was slightly disappointed at first as I wanted Hyderabad campus. But simultaneously relieved that I’ll be closer to my home-town and also because the day’s roller-coaster ride had eventually come to an end. 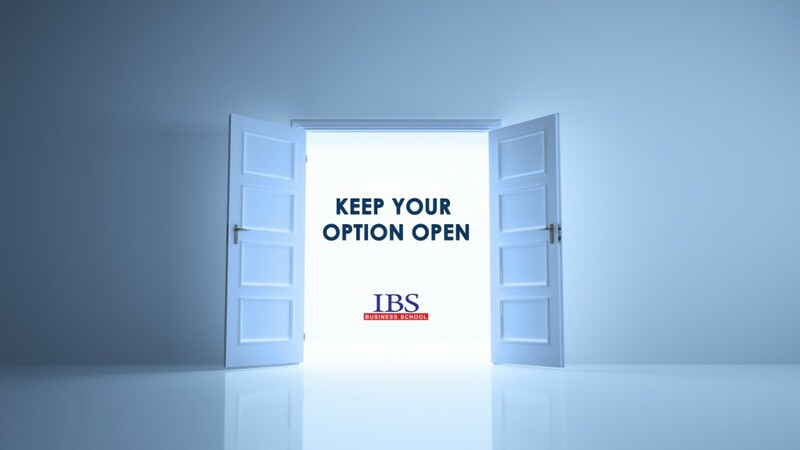 My experience at IBS selection process. 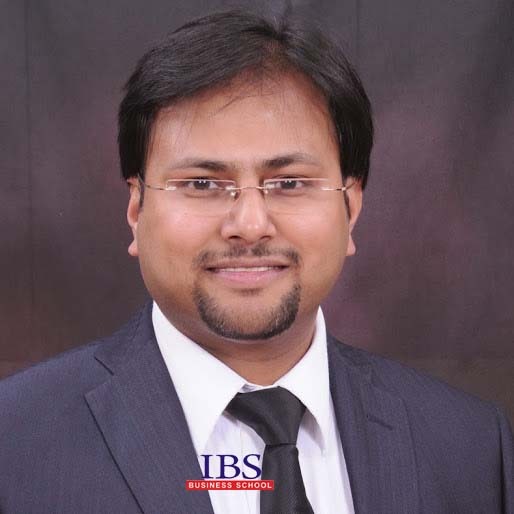 The selection process at IBS reminds me of my days when I was preparing for cracking one of the good mba colleges. I have cleared the IBSAT exam and received the call for GD and Personal interview at Banzara Hills Hyderabad. I started preparing seriously for the interview as I wanted to crack one of the good colleges of IBSAT. In order to crack the interview I started reading the business newspaper and hearing the business news and brushing my financial and overall knowledge. The college has also organized the briefing session at different cities, I have also attended one, they have cleared our doubts as well as they shown PPT of their campuses and also explained everything regarding the route map , the hotels , the travelling plans, the fee structure , the placement, faculty and USP of the college. On the date of selection we have to reach the selection venue at 7.30 am and there being first the college head dean speech. The students were grouped in batches of 10 and there was a two step process first GD round and then personal interview round. My batch no was 13 so I got a chance to ask and get a feeler about the topics that are going on. In my batch there are 4 engineer, one chartered accountant and 5 commerce graduates, we started talking among each other and unanimously decided that we will not fight among each other like people fight in market place and will maintain a good decorum. Our group no for GD being called and we all entered the room and taken the seat, In the panel there were three people as our judge one is the observer who is noting our behavior, leadership qualities and soft skills, and two faculties who are hearing our GD and deciding the quality points the person making etc. The topic which we got was in the GD is “India in 2020” I started the topic and taken the lead, I have covered points like India has a great demand pull because of its young population, India can be a good manufacturing hub as our labour are cheap, starting a business in Indian regime is easy compared to other countries, Indian has diverse culture and string tourism potential. Other people in the group has added points and I always try to add value to the discussion by adding or elaborating the points of others so in a 15 min Discussion I make an entry 3 to 4 times and I kept my pitch at a moderate level and tried to act as a leader in rotating the discussion as there are two people who have not spoken anything so I asked please add your valuable point to the discussion. The next round was personal interview – I entered the room and greeted the teachers they ask me to take a seat , I presented my resume in a most polite way as I am sharing the most important document of my life. The interview began with personal questions like tell us about your family, about your city etc after the easy round and making me comfortable one judge asked why I wanted to do an MBA, though the question simple but answer need to be witty I explained that MBA is not about getting a degree but it creates a new perspective in life, it helps in developing the skill set as well as it trains to cope real life challenges and I wanted to become an entrepreneur so it will be helping me a lot, then the question being asked how you are different from others, in this I explained the key USP I have like good interpersonal skill, good understanding of things, doing things in crisp deadlines, I also explained the things with examples, then they have asked questions from finance like is the cost of equity is higher or cost of debts , difference between IRR and NPV, what is beta value etc. After my interview I gone to meet the bank stalls which were there in the campus to understand what is the interest rate they are charging for education loan and what is the moratorium period. At around 4.30 pm we gathered in a tent where the result are announced, I have filled IBS Gurgaon as the first preference as I belong to Allahabad so Gurgaon is a better option for me as travel is easy between Gurgaon and Allahabad and Gurgaon past year placement record was good. When my number was announced I being allotted Gurgaon my preferred choice, I thank God for giving me my choice center. How to prepare for GD/PIs? I hope your written exam scores must have surprised most of you by now. In case, you are pleasantly surprised only then you can expect to get a call for the next rounds of evaluations i.e. GD-PIs. The step that you have just cleared (the written exam) is the easiest one as you had the liberty of guessing and solving by eliminative approach as the exams were of MCQ type. But it is in the GD-PI round, you will see that things have become more interesting, more challenging and needless to say have gone to the next level, where the focus will solely be on you. Ever conscious or unconscious action of yours will be judged in order to make or break your career by assuring a seat in top b-schools. The sole purpose of a group discussion is to evaluate your capability to discuss and work in a team as a team player and your listening capabilities. There is a myth that the person, who speaks in the loudest voice and consumes maximum air time during discussion, gets selected. Please understand that nobody ‘likes’ an aggressive and obnoxious person who enforces his views on others in a team set-up. And in GD, the whole onus of you getting selected lies on your ‘likeability’ quotient in the eyes of the panel. Be sure that your presence is felt throughout the GD by the group members and you contribute positively in the discussion. By positively one should understand that, as a team member you are expected to bring out different and relevant angles to the discussion and yet help the group’s cause in arriving at a consensus by giving a properly spaced out appearance in the course of the discussion. As mentioned above, unconsciously many candidates tend to do a one on one discussion in a GD and lose eye-contact with other members of the group. This can be detrimental towards your progress because a member of a group you are expected to address each and every member of the group when you are putting forward your point. You have to make your chances to get into a GD because nobody is so generous but do make sure to wait for the pauses at the end when a member is putting forward its point. Don’t interrupt in between. Be assertive in your arguments and back them up with numbers if you have. As a group, ‘We could have done it this way’ leaves more impact than ‘We should do it this way’. Another myth is that the one who starts the GD scores the brownie points is partially true. Partially because, if you are starting a GD you are expected to set the tone of the whole discussion but if candidate fumbles there, it goes against him as being irresponsible and superficial. Morale of the story is ‘Don’t be a pillion rider by supporting other members of the group or acknowledging them, but drive the discussion’. After the fish market of GD, you are in for the most herculean and most important task, the Personal Interview. Be prepared with questions as simple as Why MBA, to the most difficult ones as What if we don’t select you. Having a thorough idea of the industry in which you are working or you intend to work will be very handy and most importantly you must be ‘able to connect the dots’ between the above answers. Most interviewers decide in the first two minutes if they are going to give a nod for the candidate or not. So, it is very important to strike a chord with the interviewer in the first 60-120 seconds. The interviewer/panel will give you a chance to do it by asking the most open ended question, ‘Tell me something about yourself’ and you should understand that why it is being asked. Your profile is already in front of the panel, so give them talking points about what is not mentioned in your CV or to your area of strength, your hobbies may be. Don’t get intimidated if the panel tries to exert pressure on you during the interview. They are simply checking your mental strength and composure. Just maintaining a smile and being positive in your talks can do wonders for you. An interview is a conversation, so be polite and look interested all the time. Show the panel that you are not very judgmental, idealistic and a nervous fish outside your comfort zone. Show them that you are rational, positive and composed. I know a candidate who converted IIM-B by just accepting the offer of cookies by the panel for the simple reason that he waited 8 hours for his interview and when panel offered him some cookies, he accepted it because he was hungry (rational). Do thorough research on the b-school’s history and the various activities which happen there throughout the year and talk about them during interview. It is better to formulate your GD-PIs in a way that there is no scope of contradiction in your arguments because most of the times, your GD and interview panel is going to be same and you can be questioned on your arguments in GD during the interview. Some b-schools ask candidate to give an essay/write-up before appearing for the GD-PIs. Follow basics such as using simple English, small sentences, small paragraphs, giving examples and maintaining a flow. Be sure of what you write, because again it can come back to haunt you in the PI. Thus, GD-PIs are the tools to test how you are going to behave in the classroom initially and later in corporate as a professional. In an MBA, classroom discussions will imbibe more learning in you than mere walking you through the PPTs which is called ‘death by power-point’. An MBA is not more about how much you know, but more about how you articulate your thoughts in a lucid and presentable manner. Polish these aspects your personality and ah you en-route a journey towards an exciting career. Salespeople and sales organizations around the world face increasing pressure to achieve their company’s growth goals. Business leaders are asking their sales teams to sell larger, more profitable deals—and to sell them more productively. Experienced, successful salespeople in particular are expected to lead the way in growing sales results. At the same time salespeople are facing customers, who are increasingly savvy in their buying decisions. They seek higher, more reliable returns on their invested cash and energy while avoiding risks to their business. Markets are growing more volatile, complex, and uncertain. Competitors in every sector are constantly growing more numerous and more capable. All these factors create pressure on salespeople to differentiate themselves, add more value and reduce risks for customers, and sustain the pace of their selling cycles. Selling is an important art which every MBA graduate should inculcate. If you research, the CEOs of most companies would have done business development at some point in their career. Business acquisition hits the top line of the organization which brings bread and butter for the employees. Organizations these days hire best of account manager/sales managers’ team to drive larger volumes. People who thrive in business and organization are the ones who naturally market themselves to the right people in the right way. For some it doesn’t come naturally but they can develop skill and work on some areas to gain on it. People love stories, say story of rag to riches (Reliance) or how Tata has developed them as the most trusted brand in the world. So tell them a story. It also makes it easier for others to remember you later on. Our minds are essentially “associate machines,” which means we remember things better when there’s a story or association attached to the subject. In other words, if you want people to remember you, tell them a story and make sure it’s good. My advice to young entrepreneurs is not to accept defeat in the face of odds, and challenge negative forces with hope, self-confidence and conviction. If you’re trying to do multiple agendas, you’ll confuse yourself as a storyteller. If you have one purpose, everything else will fall into place. You need to put in all your effort to ensure you don’t behave like a fool. Perhaps this is an important life lesson. Most people think just to dissect words, by giving wrong reference, and to exchange peculiar examples, will help them crack a deal. You are absolutely clueless about how much the other person silently mock on your idiotism. The idea is to answer what is been asked, it’s good to back your statement with an example but the pattern should match. Say you are talking about after sales services and suddenly you jump to price this confuses the interviewer and put you at risk. You need to be able to explain what you do and who you are in a way that appeals to most people. This means avoiding acronyms or terminology that wouldn’t be understood by someone outside of your industry. Keep out any irrelevant details that take away from your core message don’t be like a speeding bullet that never hit the target. Segregate your thoughts and speak from top to down approach i.e. most important points at the top followed by important and finally fill it with the background. Everyone find irritating to the core when you give a lengthy background and push your message across without knowing where to end. Bullets are often used in technical writing, reference checks, notes and presentation but if you are able to map it in your brain while you speak will help you greatly. Bullets points make life easier for you as a speaker and you don’t need to worry about how your sentences flow from one point to the next. Believe in yourself! Have faith in your abilities! Without a humble but reasonable confidence in your own powers you cannot be successful or happy. Self-confidence is the biggest attribute and success because in selling, as in all careers of importance, victory comes only after many struggles and countless defeats. Prepare your mind to have positive attitude and trust yourself that you can do it. Know your strengths (may be good speaker, descent product knowledge etc.) but be willing to take risks and learn from your actions. Be realistic; see possibilities or opportunities rather than failure. Confidence comes from experience and experience comes from bad decisions. Friends selling ourselves is the pretty much selling anything! Firstly, you need to believe in what you’re selling. That means believing in “you”. Successful people have a constructive and optimistic way of looking at themselves and their work. They have an attitude of calm, confident, positive self-expectation. They feel good about themselves and believe that everything they do will lead to their inevitable success. Every opportunity that knocks at our door brings out our passionate and hidden skills, immense thoughts, nervousness and fear. Any new journey will have its ways with highs and lows, positives and negatives and joys and fears. A similar fear emerged in me when I was about to join a B-school for pursuing my MBA degree. There was an innate passion to pursue MBA which would boost my knowledge in a more practical manner. A mind runs with numerous thoughts from all the entrance exams one has to give to choosing the best college to study. Choosing a B-school based on our preferences like location, level of education, practical exposure, their selection process etc. A personal experience of having studied in a girl’s school and college I had a fear of studying in a co-ed college with the fear of thought that whether I would be as confident as speaking to the other gender as my own. Fear of the level of study that I would be engaged in. Most people joining a B-school think they might not have a life of their own. We presume that about 10-12 hours of our day would just end up in studying. One of the biggest fears in us is public speaking. Being exposed to various discussions and presentations the art of public speaking takes a back seat with the fear filled in our head. Assuming that only theoretical marks will have helped us in landing with a great job and not concentrating on other co-curricular and extra-curricular activities. In order to overcome these fears, firstly we need to get in touch with anyone who has been a part of this journey. A friend, relative or anyone known could help us from his/her personal experience. In case, you know none, you could easily get help these days through social network sites where people would be more than willing to help us. In my case, I took help from Facebook looking into the group of students registered under my batch. 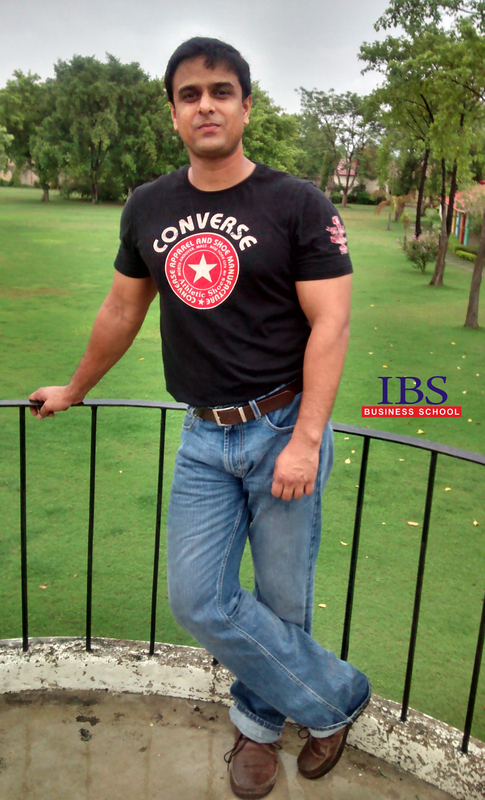 Also I had known a senior in IBS who helped me understanding the process of study at IBS. Things heard provide more confidence than things just read. Being in a new place, lot of thoughts in our mind of how the faculties are available in the campus, how the classes are constructed, the faculty etc. One solution to this would be visiting the campus before hand, in case it is not a far destination, so that one gets an idea of all those facilities available in there. 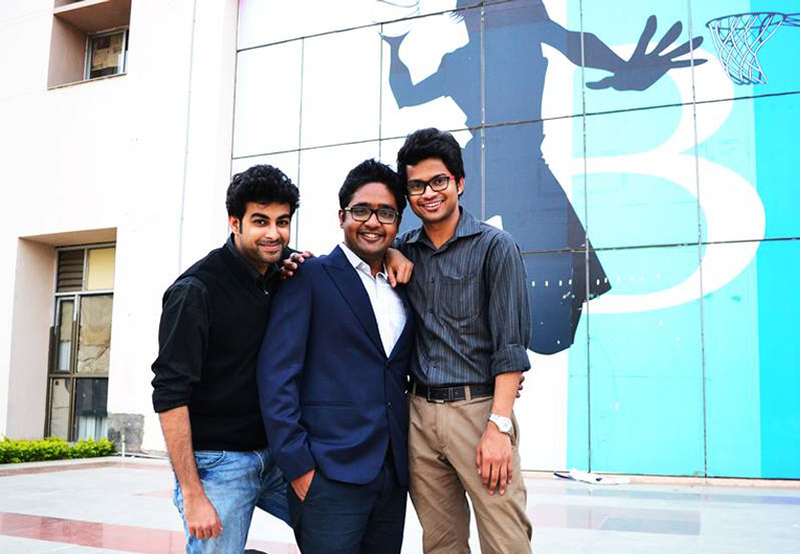 B-schools engage in lot of activities other than just studies. They have group case discussions, events based on subjects and entertainment, inter college activities etc. Therefore there is equal importance given on exposure to co-curricular and extra-curricular activities. One of the ways of reducing the fear of public speaking is engaging into it in small parts. In other words, getting into discussions with friends over a topic and putting across your points in a confident manner helps us initially in overcoming the fear of speaking. You could start this being confidence within. Stand in front of a mirror and start talking on a topic. Being self confident gives more power to stand in front of a crowd and speak. Be an avid reader and try to engage in research on various matters of day to day happenings and other topics of interest. This will make one a prime face when a discussion takes place. Being positive is another important aspect of public speaking. Standing in front of a group of people and being able to speak confidently is the art of a good speaker. MBA is a platform which brings with it many opportunities and to seek out our talent. We are provided with various activities and events are organized so that we could showcase our talent. It is a place where you are not confined only to books, but given a chance to present your thoughts and talent on a particular subject etc through various forms. These include presentations, group discussions, role play, skits etc. Such activities help one in overcoming the fear of presenting their thoughts and learning. People management is one of the key tasks in any organization. It involves a deal to maintain cordial relations with people around and whom one is working with. However, human asset is the biggest asset of a company as the cost of recruiting new members is always higher than maintaining the existing ones. 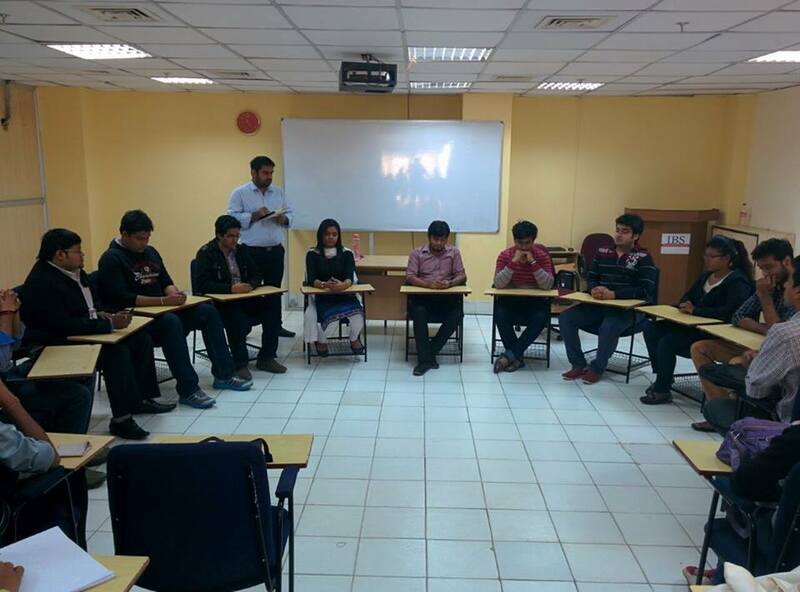 MBA creates a scenario with people from various backgrounds around. It helps us a lot in understanding behavioural skills and characteristics of these people through various tasks we are put at. Decision making is another fear that many of us face in our day to day lives. We become nervous when are placed in a challenging situation or under crisis. In any organization, decision making is an important aspect and taking it with confidence requires traits and experience. MBA is a course which helps us in building that confidence through various skilled based activities and presentations made. Failing in a particular situation does not lead to a permanent failure. They are stepping stones leading to a career with utmost experience and persistence. Fears are like excuses and life does not accept excuses, it is the results that are rewarded. Enjoying the culture and environment set up around u, with compassion and knowledge will lead to a journey with reduced speed breakers. The memories of my entry into IBS family are still fresh in my mind. 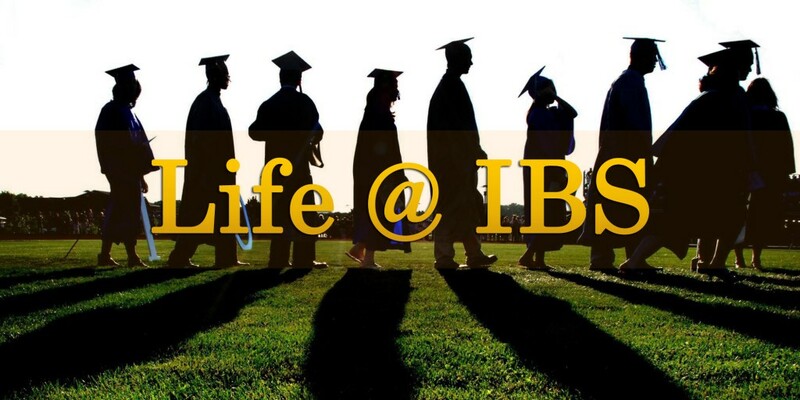 I still can recall my 1st day at IBS; I was wondering about my decision of coming to IBS with a bit of fear of new city, new people and a whole new environment. But today I am very satisfied and proud to be a part of IBS Pune which has helped me throughout my way improving my knowledge; skills (both managerial and personal) and thereby made me competent to face the corporate world. Career is not a magic; it’s a perfect combination of hard work and smart work. 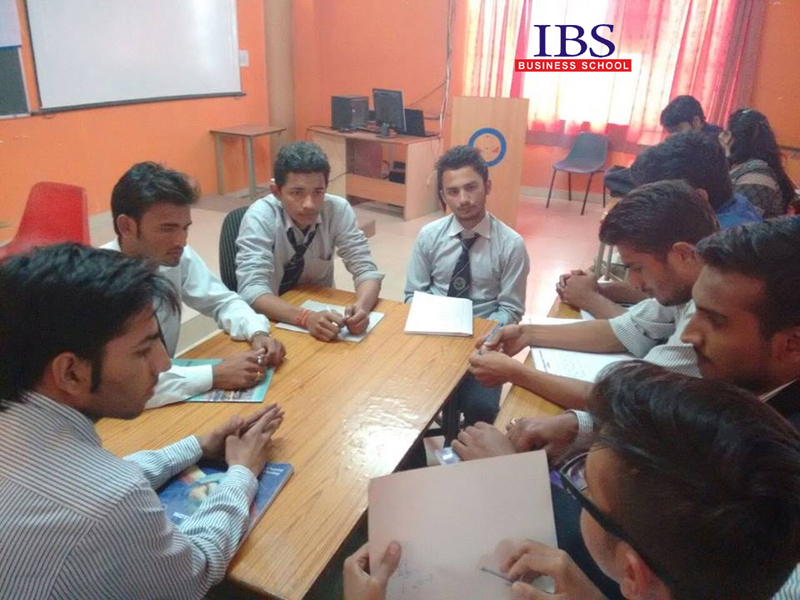 Curriculum of IBS is well structured is based on active student participation which help the students to gain required knowledge and skills to suite the competitive corporate world. The curriculum is the blend of case studies method, classroom discussions and presentations. The evaluation of student’s performance is continuous based on the performance of students not only on theoretical knowledge but also their participation in case study discussions; presentations and students capability to imply the concepts to real life situations. The study schedule of IBS requires high degree of continuous hard work and time management. IBS gives an equal opportunity to students for extracurricular activities and thereby showcase their talents. 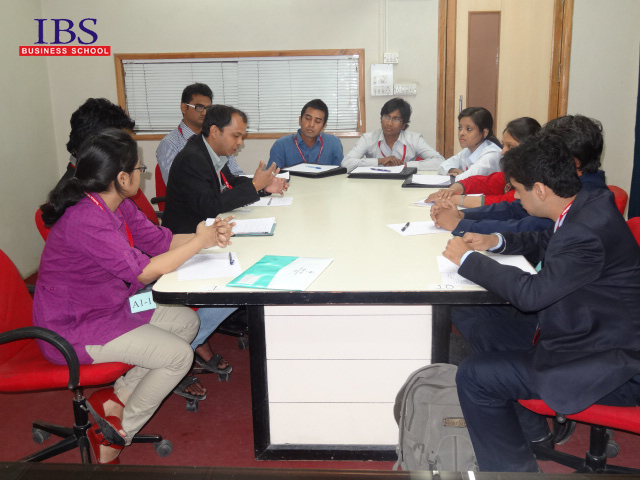 Events which are entirely organized by students under the guidance of esteemed faculties of IBS such as Zeal (IBS signature event; a management fest), Yes finance Minister (analysis of Union budget), SAP (a Stipendiary assignment program with earn while you learn objective) are some of the many golden opportunities IBS confers on students to bring out the manager within them. This Journey towards becoming an MBA is an uphill battle but with the help of IBS and IBS Faculties (who are always there to help us; who stand by us like a friend) it’s surely possible to attain the peak of success.